This week has been quite a frustrating one, as from last Sunday all the way through to Thursday night, we had a massive white-out of a snowstorm…the snow literally just didnt stop falling. Lifts were closed, the clouds descended, and our balcony filled up with snow. But on Friday, I looked out of the window and what did I see? 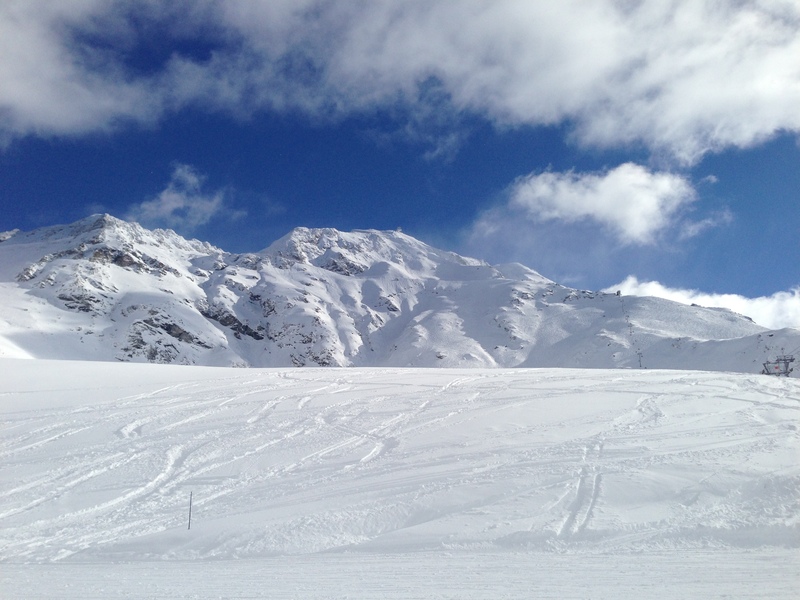 Yes that’s right…blue skies and perfect white snow, just ready and waiting for me. Absolute bliss. Photo Of The Week: It’s Sledging Time! yessss!! We are going skiing in a week…so excited! Hope we get nice days like you! awesome! where abouts are you off to?